UPDATED: Tue., May 9, 2017, 3:03 p.m. The Coeur d’Alene Resort debuted the dessert on its Dockside menu in March, one of three finalists vying for a spot on the restaurant’s permanent menu. The Gooey with the most orders would earn a spot on the permanent dessert menu. The Dockside is located on the lobby level inside the resort. In February, guests were invited to submit ideas for their own Gooey creations. The Dockside culinary team selected finalists: Salted Caramel S’Mores, Royal Cheesecake and Gooey Monster, created by 15-year-old Lake City High School student Marlee Lambert. The Gooey first made its appearance 30 years ago. The resort’s executive chef and culinary team were asked to create a signature dessert. According to Hagadone Hospitality legend, someone during those early taste tests declared, “This is so gooey!” And the name stuck. 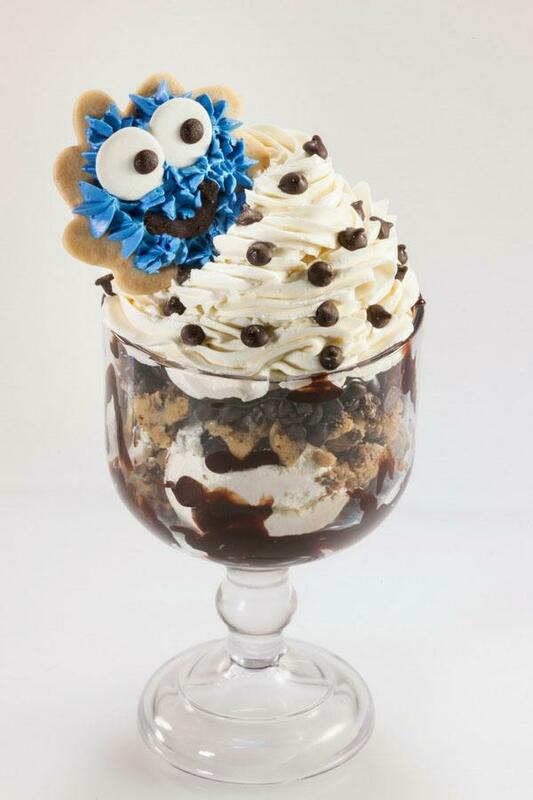 Gooey desserts at the resort contain nearly a pound of ice cream, plus toppings. It’s best enjoyed by two or more people. Smaller, personal-size Gooey desserts are also available. Lambert’s creation is now one of six signature Gooey desserts. From March 1 to 31, Dockside sold 1,274 Gooey finalists. The Gooey Monster won with 47 percent of the orders. That’s an average of 20 per day. In all, Dockside makes more than 5,000 Gooey desserts in an average month. The Coeur d’Alene Resort is at 115 S. Second St. in Coeur d’Alene. Call (209) 666-5799. On the web: http://www.docksidecda.com/. The resort’s website is cdaresort.com. Call (209) 765-4000. Published: May 8, 2017, 12:42 p.m. Updated: May 9, 2017, 3:03 p.m.